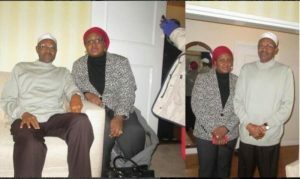 Aisha Buhari: My husband is recovering fast… he’ll return soon – Royal Times of Nigeria. 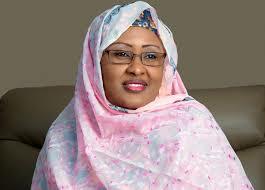 Aisha Buhari, wife of Nigeria’s president, says her husband who is receiving medical attention in London, is recovering fast and will return to the country soon, The Nation is reporting. President Muhammadu Buhari, who had earlier spent 49 days in London over his ill-health, returned to the UK for medical follow-up on May 7. His wife joined him in London five days ago. Speaking at the 23rd annual Ramadan lecture of Ansar-ud-deen Society of Nigeria (ADS) in Abuja, Buhari’s wife who spoke through Hajo Sani, her senior special assistant on administration, said her husband will soon resume official duties. “My husband is recovering very fast. And very soon, he will return to the country to resume his official duties,” she said. The message sparked shouts of Allahu Akbar! Allahu Akbar!! Allahu Akbar!!! (God is great) by the Muslim faithful.